Regain the power of your throat and voice! The Ear, Nose, & Throat specialists at Dallas ENT Head & Neck Surgery Center are fully trained in diagnosing and treating conditions of the throat and voice. This includes tonsil and adenoid infections, airway problems, hoarseness, swallowing disorders, and vocal cord surgery. The two most common disorders we see are loud snoring and sleep apnea. Sleep apnea often appears as snoring but is a condition that causes the patient to stop breathing during sleep. This happens when the muscles of the throat relax too much and block the air passage. The person must partially wake up in order to get the throat muscles working again, which results in a poor night's sleep. Many of those with sleep apnea do not know they are not sleeping soundly or that they could be at risk for heart disease, high blood pressure, and stroke. Therapy is directed toward the cause of the disorder and may involve medical treatment of sinus disease, gastroesophageal reflux disease (GERD), voice therapy, lifestyle modification, and possibly surgery. Click here for more information on GERD. 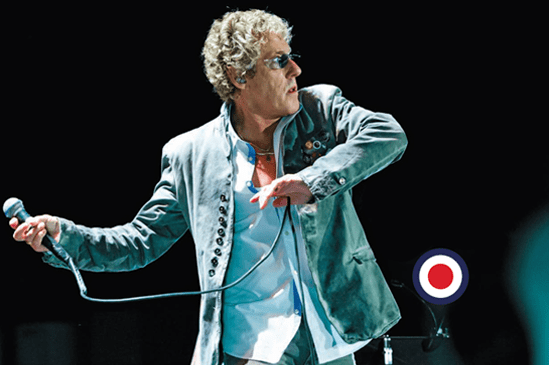 Roger Daltrey, lead singer for The Who, needed help for his declining voice…and fast. With sold-out concerts and a fan base that spanned across generations, he had a lot of people counting on him for a stellar performance almost nightly, and he could not disappoint. “I was on a solo tour, doing five to six shows a week, and by the third show, I noticed I would be getting hoarse,” the singer confessed. After seeking initial help for dysplasia - abnormal, precancerous cells present in his vocal cords, Daltrey still found his voice struggling to produce the great sound it once did. The solution came from an unexpected source: a fan who just happened to be at one of his concerts, listening to his voice struggle firsthand: Dr. Rajiv Pandit. Dr. Pandit's patients are people with common ENT problems. However, because Dr. Pandit is an expert on care of the professional voice, he also treats radio and television personalities; movie, opera, theater and recording stars; public speakers and politicians.